Which financial calculator to choose for the CFA® exam? Choosing which calculator to practice with and use in the CFA® exam can be tricky. There are two approved calculators that the CFA® institute allow, the Texas Instruments BA II Plus (including BA II Plus Professional) or the HP 12C (including the HP 12C Platinum, 12C Platinum 25th anniversary edition, 12C 30th anniversary edition, and HP 12C Prestige). But how do you choose which one to use and why. Firstly if you are familiar with one of these calculators and have used it before stick with what you know. 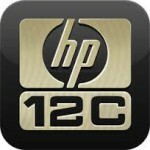 Even if you are familiar with another model like the HP 10 B, stick with the brand you know, as in Hewlett Packard. The basic processes and functioning of the calculator will remain the same and you will be able to familiarize yourself with that model quickly. 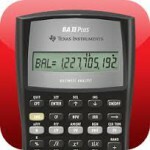 However if you are new to financial calculators we would suggest using the Texas Instruments BA II Plus or BA II Plus Professional for a number of reasons. 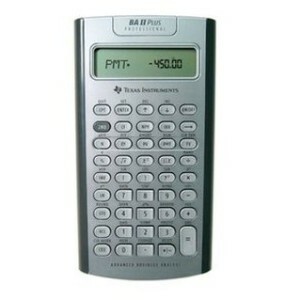 Operating the Texas Instruments calculators is more intuitive than the HP calculators, especially when you start trying to use the HP Reverse Polish Notation (RPN) to solve problems. This intuitive nature makes it easy to use and learn. 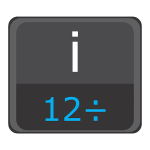 the Texas Instruments calculator comes with some extremely useful extras that are not available on the HP 12 C.
ICONV function to quickly switch between nominal and effective interest rates. These functions make answering some of the questions that can arise in the CFA® exams notably easier and more accurate with less errors, not to mention the time they save. Answering questions in less than the 90 seconds provided during the exam can have a massive impact on finishing within the allotted time. Any saved time can be carried over into longer more difficult questions. Many of the third party material providers of study guides and videos break down the process of using the Texas Instruments BA II Plus calculators in their guides and problem solutions. This can be a great help during your preparation. The Texas Instruments calculators retail between $30 – $40 ( R650 -R850 ) while the HP 12 C calculators retail between $60 -$100 ( R900 – R1200 ). It seems silly to go the HP 12 C route when the Texas Instruments calculators are easier to use and learn, provide additional time saving functions specifically useful in the CFA® exams and cost dramatically less. 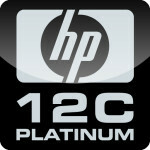 Why do some still prefer the HP 12 C? Most people who opt for the HP 12 C do so because they are used to the Hewlett Packard calculators and the Reverse Polish Notation (RPN). One reason is the perceived prestige of the HP calculators. 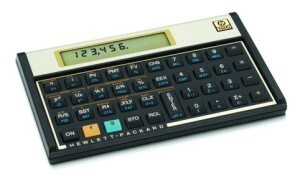 These are the calculators that were used by the old guard of bankers and financial advisers. If you love smartphone apps there are some available from the iTunes and Google Play store that replicate both of these calculators. There is a free version of the HP 12 C calculator that you could try and see if you like its processes. Or you could opt for a paid version of the calculators. Remember that you will not be able to take and use your phone or tablet in the exam, so you will always need to purchase the real thing.